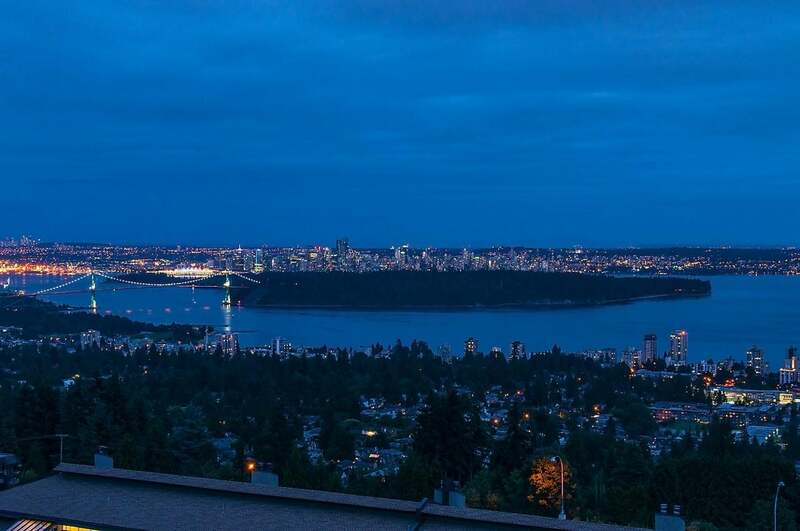 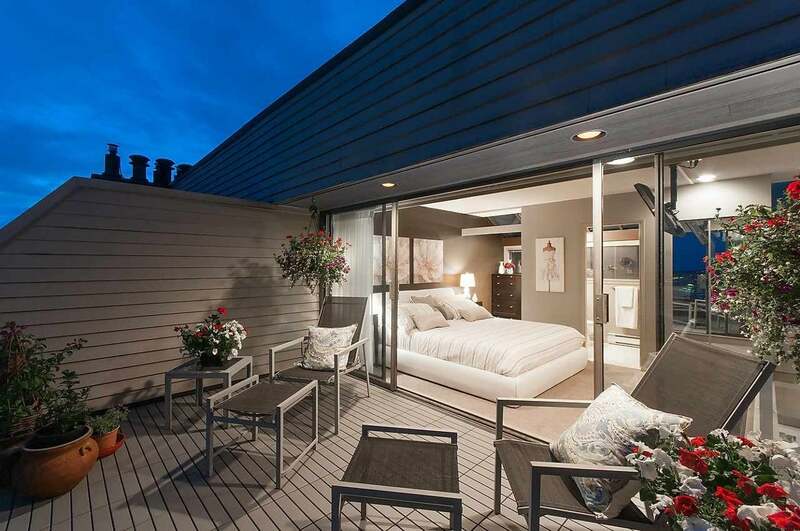 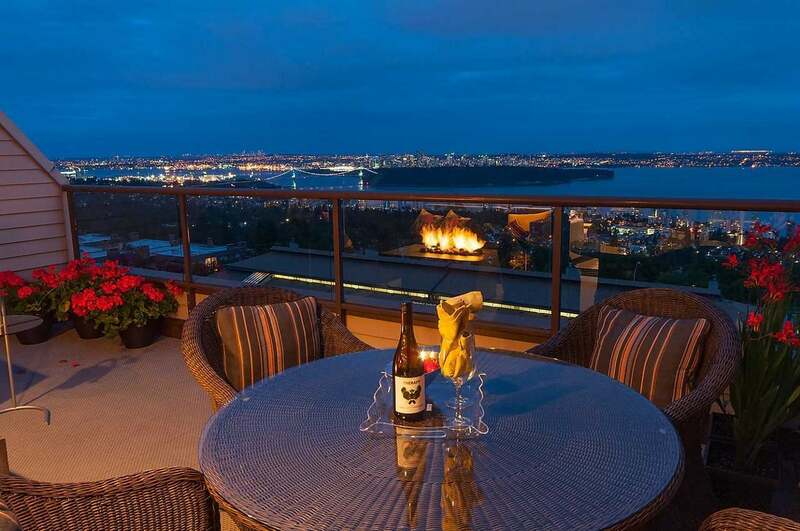 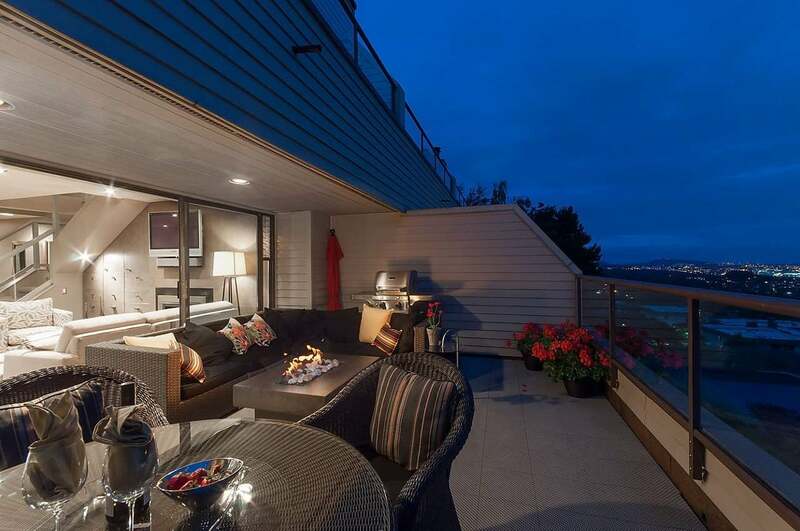 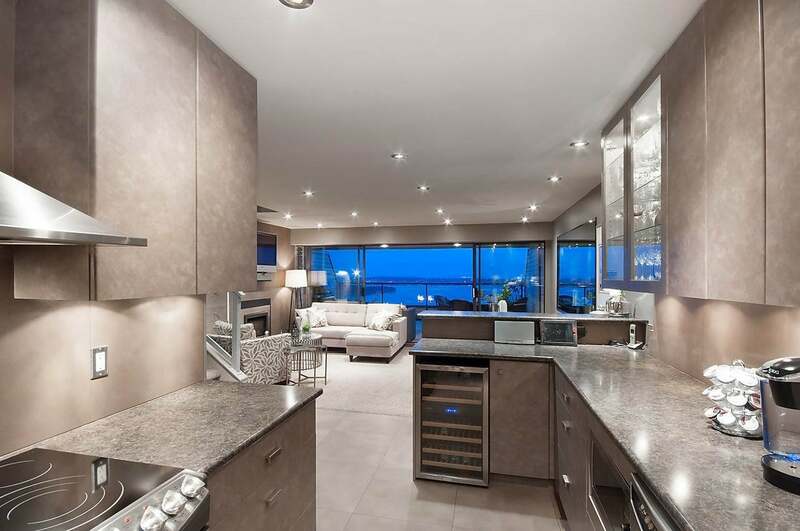 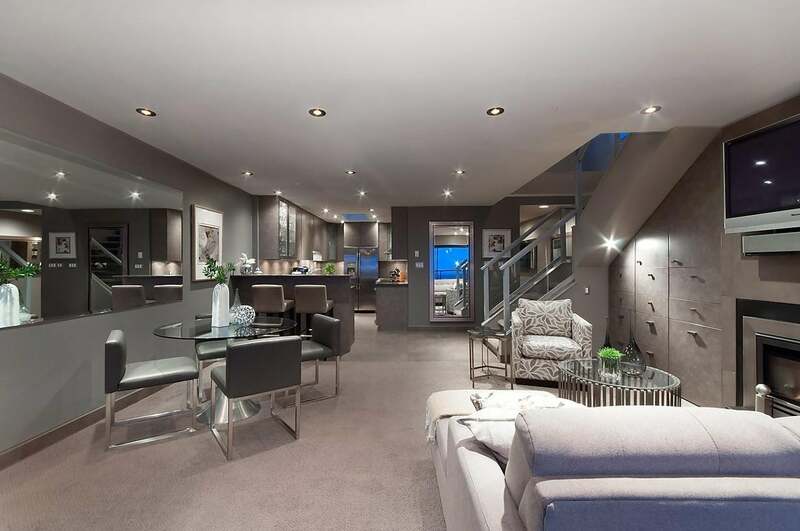 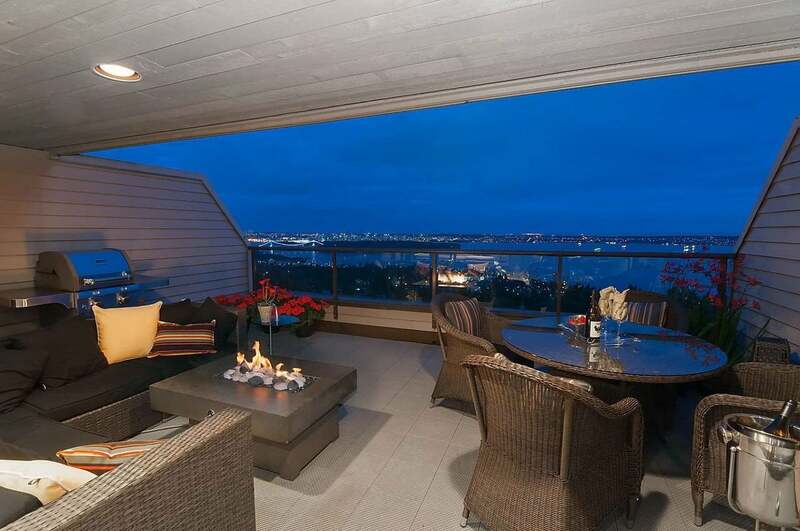 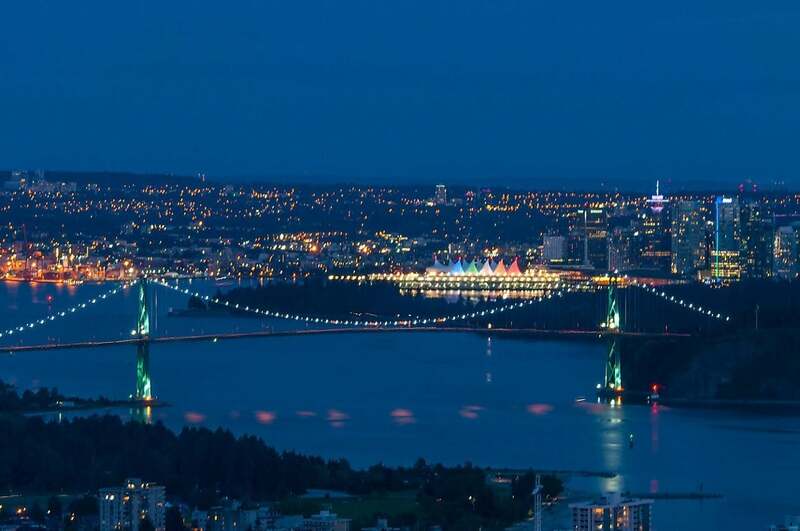 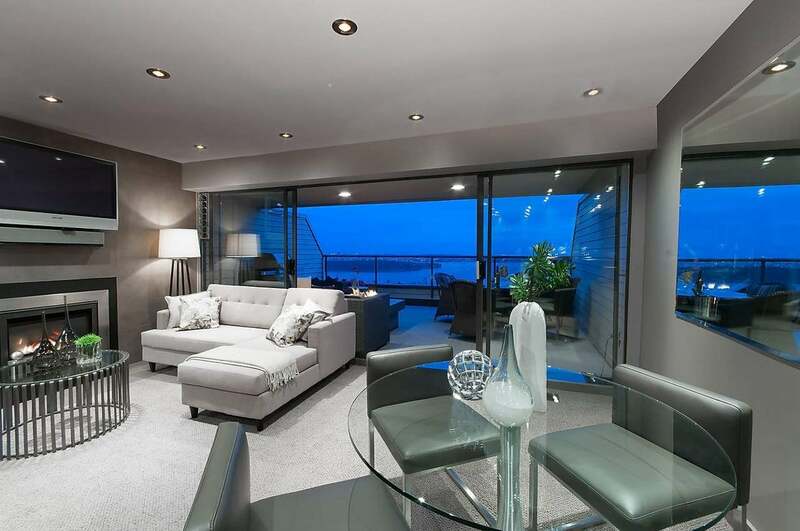 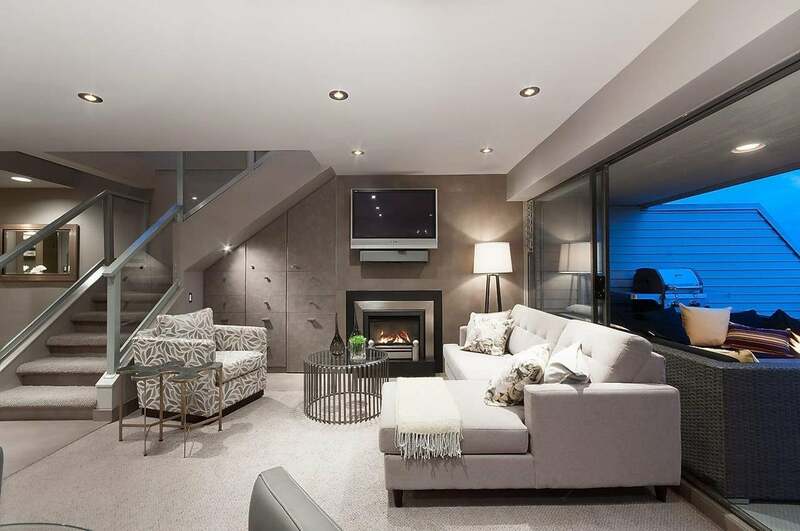 Stylish 2 level Penthouse suite w/ 2 huge decks (400sf) overlooking breathtaking panoramic city and ocean views. 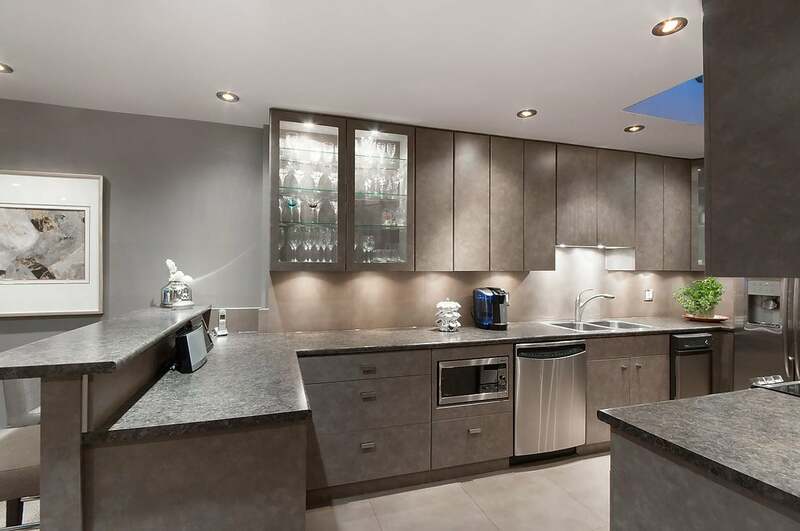 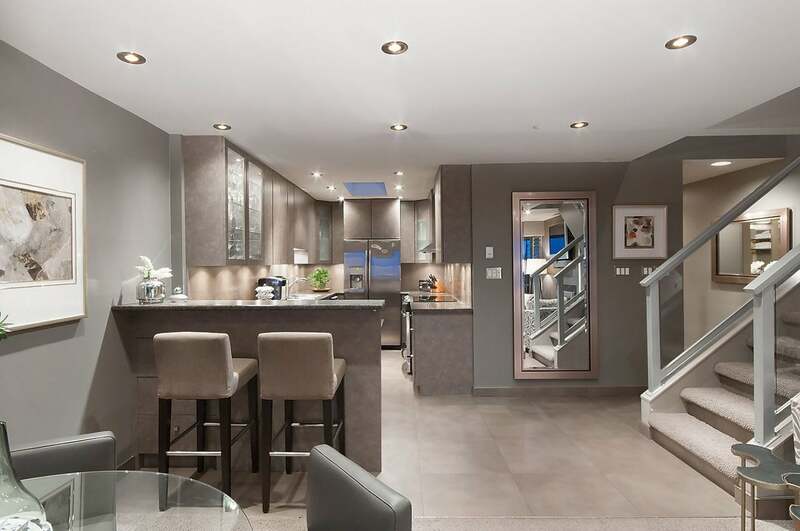 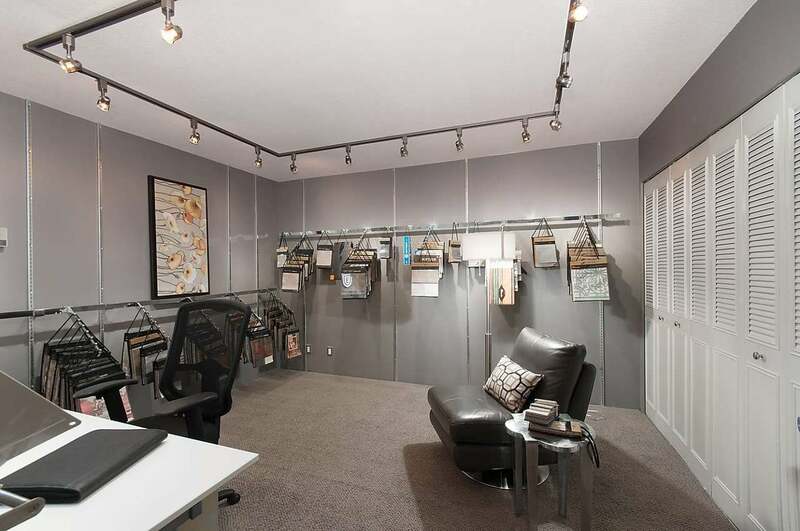 Perfect 2 bedroom, 2 full bathrooms, "cafe au lait" designer colours throughout, open plan kitchen & living areas, recently renovated chef's kitchen w/ SS appliances, bar seating, wine fridge, gas fireplace, skylights, loads of built-ins for storage. 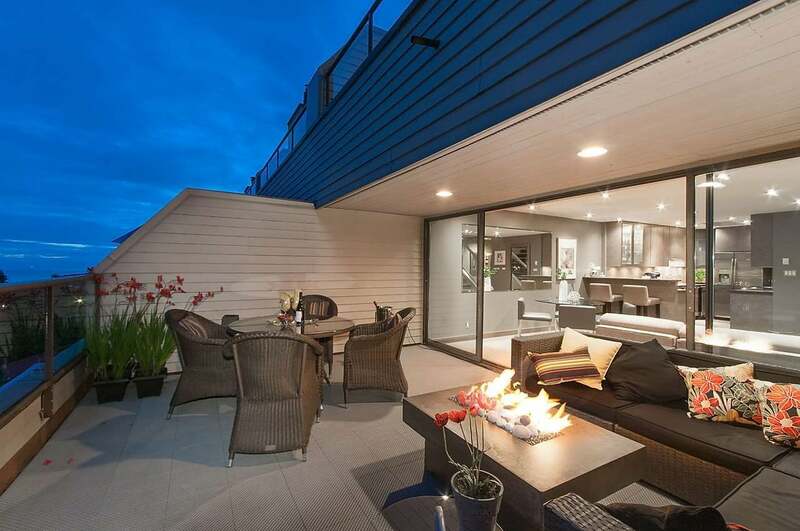 Spectacular outside space perfect for daytime sunbathing, evening cocktails and dining "al fresco", gorgeous gas fire pit adds to the magic! 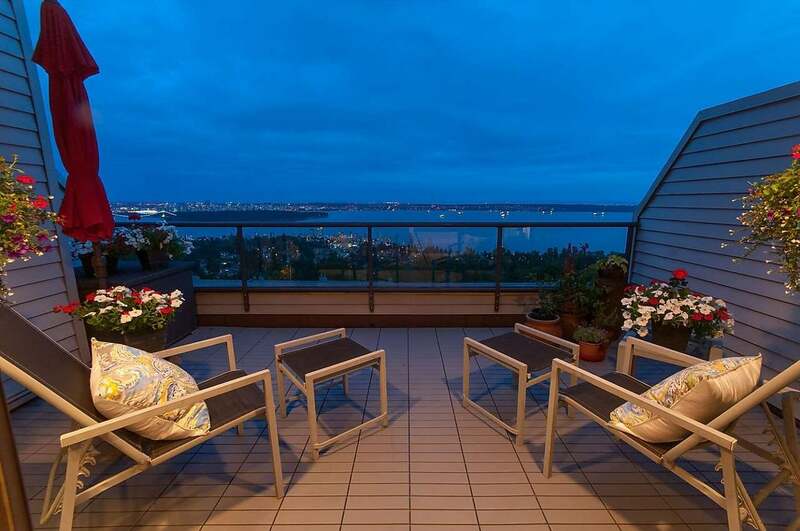 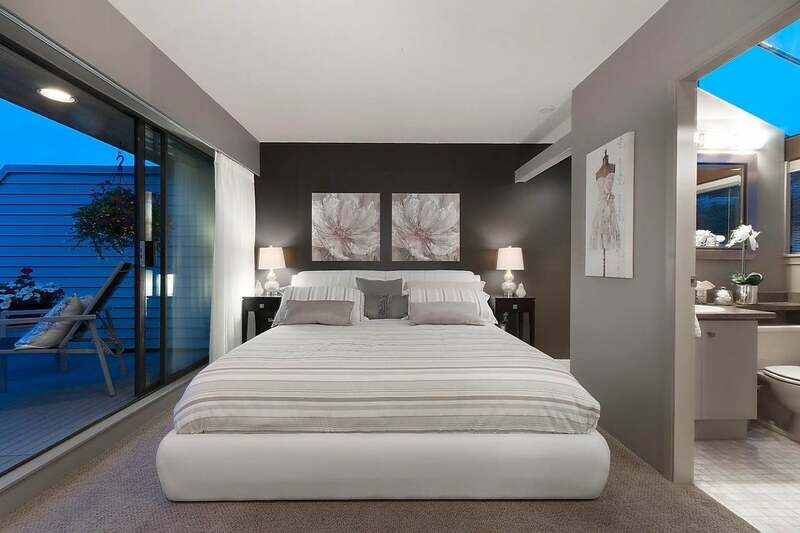 Upper level romantic Master suite with full bath and another spacious balcony creates a private haven overlooking sparkling city lights. 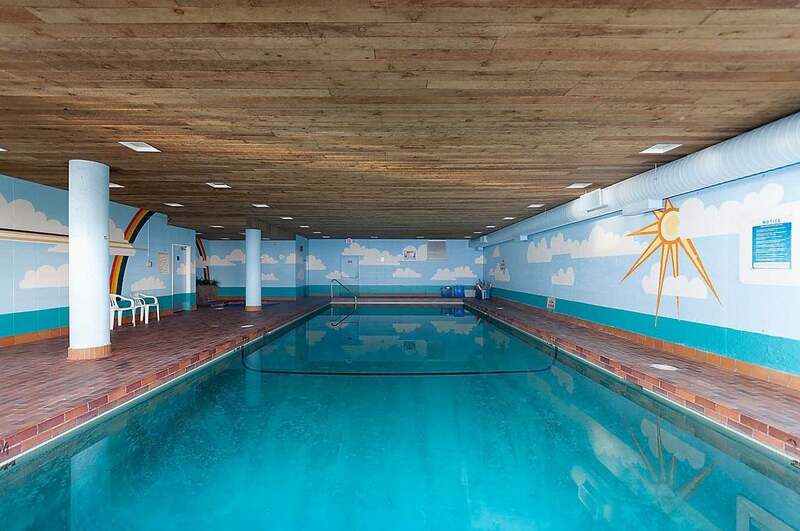 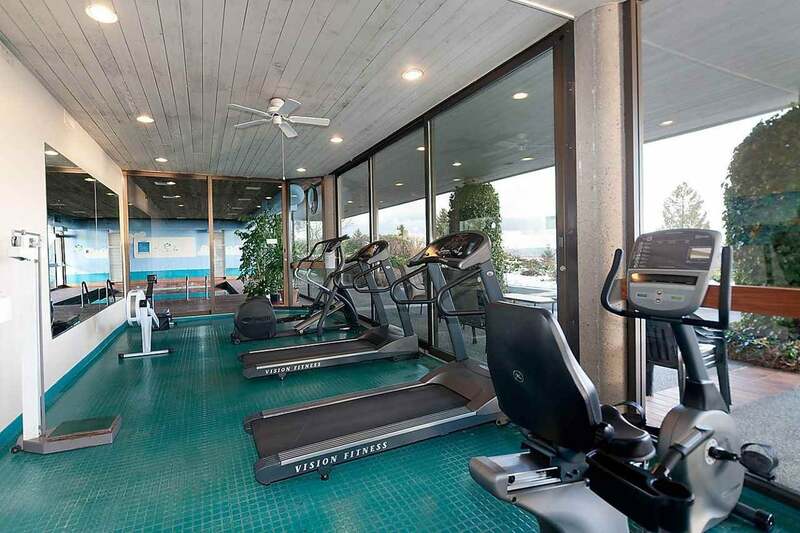 Your own townhouse style entrance and fabulous amenities including pool, hot tub, gym, racquetball & tennis courts creates a resort like lifestyle.